The verdict came four months after Liang’s name appeared on a list of alleged sexual harassers in Indian academia. 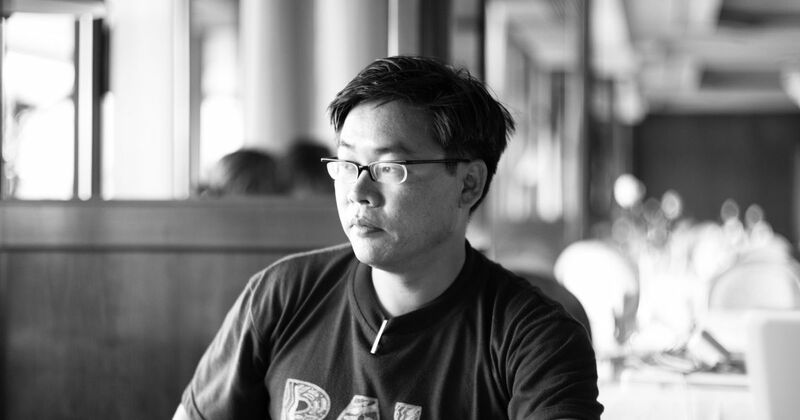 Lawrence Liang, a law professor in Delhi, has been held guilty of sexual harassment by the Committee for the Prevention of Sexual Harassment at Ambedkar University Delhi. The committee recorded its findings in a report dated February 20, four months after Liang’s name featured in a crowdsourced list of alleged sexual harassers in Indian universities that was published on social media. 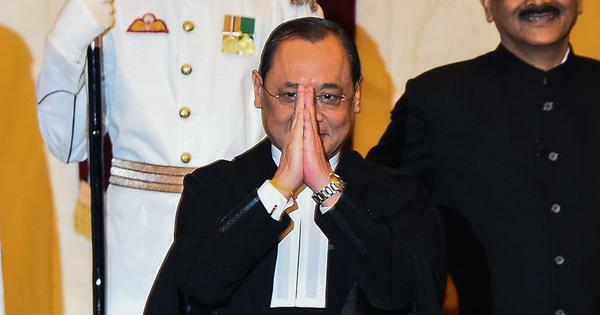 Liang was held guilty of sexually harassing a female researcher from another university in Delhi, and has been asked to step down from his position as dean of Ambedkar University’s School of Law, Governance and Citizenship. The inquiry committee that investigated the matter has recommended that Liang should be barred from holding any administrative position for the next two years. It also said that he should be warned of serious consequences, such as suspension, if any other sexual harassment complaints are made against him. The committee has also asked him to submit an undertaking stating that he has understood the University’s sexual harassment policies and will conduct himself appropriately from now on. The University’s committee chose to investigate the woman’s complaint from October 2017 despite the fact that she belonged to another university, because Ambedkar University’s internal policies allow for such “third parties” to register complaints against members of the University. The committee also expressed concern about the fact that Liang was a senior faculty member responsible for a large number of students. In her complaint, the woman alleged multiple instances of being forcibly kissed or groped by Liang. In his defence before the committee, Liang acknowledged some physical contact between him and the complainant, but maintained that he did not think it constituted sexual harassment. After closely examining all the testimonies and arguments, the University committee’s verdict holding Liang guilty emphasised the active seeking of consent in sexual activity. In an email to Scroll.in, Liang, who is a noted lawyer from Bangalore and a co-founder of Alternative Law Forum, said: “I dispute the report in its entirety, its findings and recommendations included.” He added that he intends to “exhaust every channel open” to clear his name. 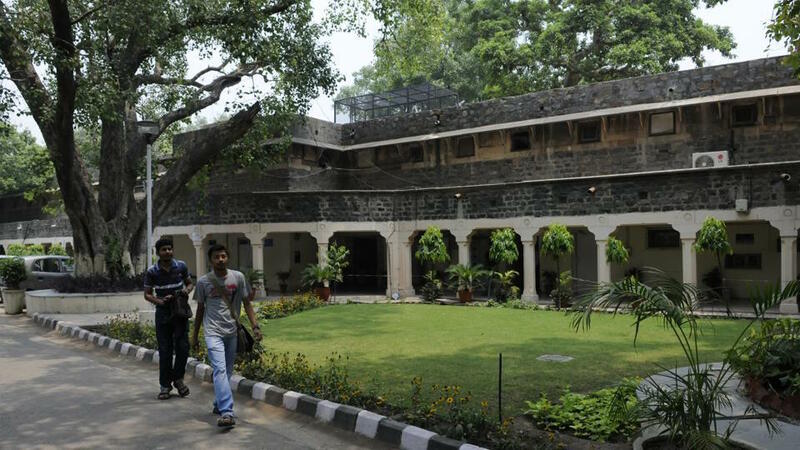 Geetha Venkataraman, who headed the Ambedkar University’s inquiry committee, declined to comment because of the “confidentiality clauses” in the University’s policy. However, Scroll.in was able to access the details of the complaint and the verdict in the committee’s February 20 report. According to her complaint, the researcher faced multiple instances of sexual harassment by Liang when they were both PhD students at another university in Delhi in 2015-’16. Liang was already an established academic at the time. After they first met in January 2015, she and Liang had communicated to discuss research. The complainant alleged that the first instance of harassment occurred during Liang’s visit to a conference in Delhi in April 2015. The two met for dinner and when the conversation turned towards relationships, the complainant claimed she indicated she was “not available for romance”. While returning in an auto, however, Liang allegedly forcibly kissed her even though she asked him to stop “more than once”. In her complaint, she alleged that Liang did not apologise but said “he kissed her because he liked her”. During the same conference, the complainant claimed that Liang sent her unwelcome “flirty” text messages, and forcibly kissed and groped her again when her friend briefly left a guesthouse room they were in. Following an after-party at the conference, the complainant alleged that Liang’s friend also groped her own friend without consent, and when the two women later called him up to confront him about these incidents, Liang apologised for his friend’s behaviour but not his own. Later, in February 2016, when Liang visited her university to deliver a public lecture, the complainant alleged that he publicly hugged her and kissed her cheek in a way that was “unwelcome only because of their past interactions”. Later that day, while returning from a group dinner, she claimed he forced a kiss on her again. According to the inquiry report, the complainant told him at this point that “she felt tired of expressing her discomfort repeatedly, that she felt that it wasn’t that he did not understand her discomfort but was unconcerned about it”. After this incident, the complainant claimed she disengaged from Liang and did not communicate with him beyond work. She did not tell any of her friends about her experiences, but in September 2017, she confided in Liang’s former colleague in Bangalore, who later told the complainant that at least two other women in their workplace were known to have been harassed by him. Liang’s former colleague testified as a witness in the complainant’s case, and told the inquiry committee that in September 2017, after hearing the complainant’s story, she made inquiries with other colleagues and a circle of friends, who claimed Liang had a “reputation” of behaving in a similar manner. According to the inquiry committee’s report, the complainant finally decided to “pursue due process” after October 23, 2017, when law student Raya Sarkar published a crowdsourced list of alleged sexual harassers in Indian academia on Facebook, sparking a controversy about the ethics of naming and shaming on social media. Liang’s name featured on the list, and over the next two days, he called and texted the complainant several times. When she finally agreed to chat with him on WhatsApp and confront him, he “apologised for it” and said that it was “a totally misread situation”. According to Liang’s testimony before the inquiry committee, the kiss in the auto at the time of the conference in April 2015 took place because he felt a “physical ease between them”, and he kissed her “for the briefest moment” when she “lay her head on his shoulder”. He claims she then retracted and said, “let’s not do this”, and he apologised. She allegedly responded by telling him “not to be embarrassed”. In his statement to the inquiry committee, Liang claimed that this incident could constitute sexual harassment only “in a strict reading of the term”, because “sexual harassment policies and laws define harassment in black and white form that does not accommodate the complexities of actual interactions between people”. He stated that to his mind, his initiating the kiss in the auto did not constitute harassment, but it would have been harassment had he continued to kiss her after she said no. Liang categorically denied the complainant’s allegations of meeting him in a guesthouse room and him kissing her forcibly. That day, he claimed, she was the one who reached out to him, and they had gone, with her friend, to his friend’s party. Liang mentioned that after the party, the complainant had called him, angry about her friend being molested by his friend, and about him kissing her the previous day. Liang claims he apologised for his friend’s behaviour but told her that “the context was different with him”. Liang also alleged that the complainant agreed to meet the next day, when she “played the guitar for him”. Liang’s account of the events during his visit to Delhi in February 2016 are starkly different from the complainant’s: he alleged that when they met, it was she who “cosied up to him”, “put her head on his shoulder” and also “reached out to kiss” him with a slight brush on the lips, while he moved away because he was already in a relationship. He claimed that he shared a “very friendly relationship” with the complainant from April 2015 to September 2017, and described their few interactions as “borderline romance” that involved “mutual attraction”. In response to his former colleague’s allegations of his “reputation” of harassing other women in his organisation, Liang claimed that these might refer to his “complex” and “deep” friendships with two interns. He had kissed one of them on the cheek at a party and when she objected, he claimed he apologised immediately. He also claimed he once shared a consensual kiss with the other intern on one occasion, but they did not take things forward. Liang claims these two incidents took place before his organisation put its sexual harassment policy in place, but admitted that they were “mistakes” on his part that broke his personal rule of not having relationships with interns. The inquiry committee’s decision to uphold the complainant’s allegations of sexual harassment was based on the argument that consent must be ensured before initiating a “explicitly sexually coded activity such as a kiss on the lips”. The committee stated that “physical ease” and gestures like leaning, touching or flirtatious activity could be interpreted differently by the different parties involved, making it “important for the initiator to ensure that both parties read these gestures and actions similarly before initiating such an action [such as a kiss]”. The committee thus concluded that Liang’s unwanted kiss would constitute sexual harassment in any kind of reading of the term. While Liang’s statement described the complainant’s belated decision to file a complaint as a “moral judgement” on him after she found out about his alleged “reputation” at the workplace, the inquiry committee pointed out that delays in filing sexual harassment complaints are completely valid. “Forms of gender violence and harassment are often identified as such not at the time of their occurrence; it is common for these to be seen through new lenses as new frameworks of, for example, feminist understanding, are gained,” the committee report said. The committee also pointed out that it is understandable that a harassed person may withdraw the benefit of doubt she may have given the harasser after learning that there is a pattern to such behaviour. The committee also pointed out that Liang’s behaviour with the two interns in his former organisation indicated his “willingness to cross legal and ethical boundaries when in a position of power”. This, according to the committee, was a matter of concern given Liang’s role as a senior faculty member in a leadership position, responsible for a large number of students. Liang was also critical of the report being made public. The complainant’s decision to report her case of sexual harassment to Ambedkar University, and the University’s decision to investigate the complaint from another institution’s student, has drawn attention because it is unusual. Maya John, a member of the internal complaints committee of Delhi’s Jesus and Mary College, believes this case is important because the student chose to complain in the first place. “Researchers move across academic spaces. There are cases of consultation and interface with other academics and in institutions where they may not be enrolled. And very often predators take advantage of this is and there are many cases that do not get reported,” said John, who is also a member of a women’s organisation called Centre for Struggling Women. A member of Jawaharlal Nehru University’s internal complaints committee said, “If there is any complaint pertaining to the behaviour of our staff member, we will take cognisance of it even if the complainant is not a part of the JNU community and the incident happened outside. The complaints committee will assess the allegations and decide whether to start proceedings. But in my tenure, we have not had any such case.” JNU formed its internal complaints committee , which replaced the Gender Sensitisation Committee Against Sexual Harassment, in September, 2017. This story was updated to include Lawrence Liang’s response at 12:30 am.